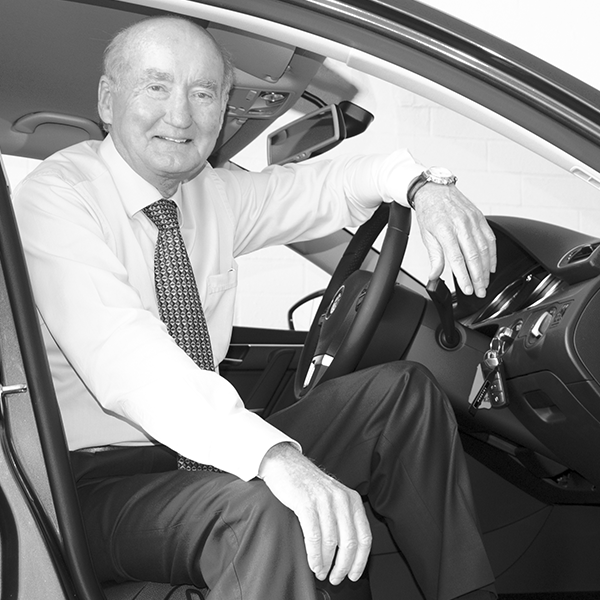 John Hughes had humble beginnings in life but through a combination of passion, discipline and risk he has reached the heights of corporate success and operates one of Australia’s most successful automotive businesses. Born in Fremantle and educated at the Christian Brothers College, John originally wanted to be a lawyer. After leaving school and before starting his career, he couldn’t afford to attend university, however he was determined to make a success of himself regardless. John first worked in Canberra as a trainee Organisation & Methods Officer with Australia’s Department of External Territories. “When I left school I couldn’t get a job that I particularly liked. I wanted to be an accountant but nobody offered me a job. I ended up getting a position in Canberra as a personnel cadet in the Department of External Territories. I had never been out of Perth before and I was very young and very homesick and I was not happy living and working in Canberra.” John stuck with this job for some time, also studying English and Political Science part time at university, however after 18 months in the position he decided to return to Perth. “I saw a job advertised at Atwood Motors, Stirling Street, Perth,” says John. “Atwood Motors was a car dealership and I got a job there as a clerk in the panel shop.” At 24 years of age, he became General Manager of Attwoods Motorama which was to become the largest used car organisation in Western Australia. It was the start of a long career in automotive dealerships that has made John into one of the most respected dealers in Western Australia. That was when he saw and auction of a service station site in Victoria Park. It drove him to action but because of his recent wedding and not being sufficiently cashed up, he didn’t attend the sale. The next day, after another night of feeling that familiar knot in his stomach, he called the selling agent to find out whether the site had been sold. It hadn’t. He then had to make a very major decision – do I or don’t I! “So I rang them up the next day and I made an offer that I thought they couldn’t possibly accept,” he says. “A below market price with minimal deposit and extended terms. I slept well that night knowing I had at least tried but not believing I would be successful. Astonishingly they rang and told me it was mine. So I had to walk up and down the main financial street in Perth and endeavour to borrow 125 per cent of the capital I needed, but the minute I made that decision, to put myself totally at risk that knot in my gut went away, because it was my body telling me I wasn’t destined to work for other people. That decision was the start of my career. It was a huge gamble.” he said. The first years were tough, intense, “red-hot heat. It was just one salesperson and myself.” he said. “We bought the cars, cleaned the cars, reconditioned the cars, advertised the cars.” Sale by sale, he expanded his empire and within a few years the Company became the leading independent used car organisation in Western Australia. In May 1980 John took over the inner city Mitsubishi franchise in Victoria Park from the Skipper Bailey Motor Company. It traded as Skipper Mitsubishi until 2005 when John changed the name to John Hughes Mitsubishi and has consistently ranked as WA’s number one Mitsubishi dealership. John was a founding shareholder and director of Bond Motor Sales, the original importer of Hyundai motor vehicles in Australia. He was responsible for setting up the importing infrastructure and the appointment of dealers in the early days of the Hyundai Motor Corporation in Australia. John Hughes Hyundai has consistently been the top selling Hyundai Dealership in Australia and at one point in time, the largest worldwide – an impressive achievement given the small population size of Perth. In 1998 John Hughes Volkswagen opened its doors and in the following years Ford, Kia, Jeep, MG and LDV franchises have been added to the group, all in the one location in Victoria Park. The John Hughes Group is the largest single location motor vehicle retailing company in Australia with eight new car brands and a huge pre-owned vehicle operation. These days the John Hughes Group employs over 500 staff and sells approximately 15,000 cars every year. The Company has diversified into many peripheral areas in the automotive industry. It has its own insurance company, its own finance company, a finance broking operation, underwrites its own extended warranties, is in the tyre and battery business, provides its own roadside assistance, has a fleet of mobile service vans and has its own fleet of trucks to transport vehicles to and from the varied locations. Despite his success over time, John has learned from past mistakes and retains firm control of where things are headed. “Early in my career, in 1972–1973, I very nearly went under financially. I expanded too quickly and I delegated too loosely. I know exactly what I did wrong. I took my eye off the ball and I nearly went under. Of course, I recovered and you know now where I am today, but it is a lesson I will never ever forget. That is why I am very clear about focusing on the one location: Central Perth,” John says.